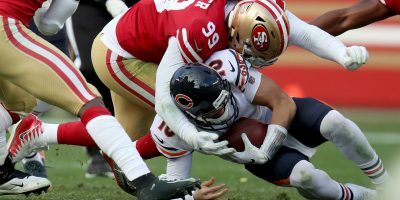 Running between right tackle Mike McGlinchey and right guard Mike Person, 49ers running back Matt Breida hit a closing hole at the San Francisco 35-yard line. 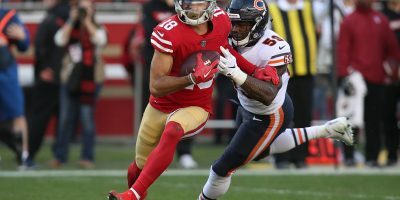 Cutting back to the middle of the field where green grass and open space awaited him, Breida sprinted 66 yards riding the stellar downfield blocking of wide receiver Pierre Garçon to score his first touchdown of the season. 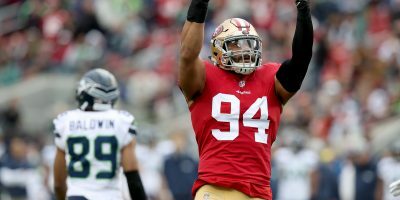 Highlighting his highly successful afternoon, Breida’s scoring run capped off a 138-yard outing for the second-year back and helped the 49ers achieve their first win of the season dropping the visiting Detroit Lions, 30-27. For Breida, the afternoon got off to a very early start. Getting the nod over veteran running back Alfred Morris to start in the backfield, the Georgia Southern product made his impact felt on the 49ers first offensive snap. Taking the handoff from quarterback Jimmy Garoppolo, Breida took his first touch of the afternoon 28 yards to get San Francisco’s offense rolling against the Matt Patricia-coached Lions defense. While the 49ers’ drive would stall out in the red zone only seven plays later, San Francisco’s running game had only begun to warm up. On the next three drives, Breida would help the 49ers stay on the field, gaining three first downs. Behind the back, San Francisco scored a red zone touchdown in the first half adding to an earlier field goal to take a 13-10 lead into the locker room. 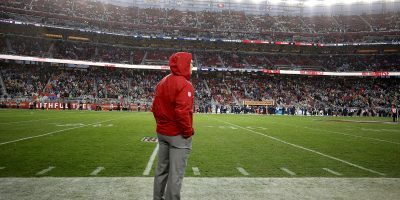 Coming out of the half, San Francisco’s offense kept up the pressure as their first drive of the third quarter ended with a touchdown, set up by a 90-yard kickoff return by D.J. Reed. After punting on their next drive, the 49ers set up shop at their own 3-yard line. After a short pass to Garrett Celek got San Francisco out of their own end zone, it was time for Breida to show the world what he was capable of. After taking his first carry of the drive 20 yards to the San Francisco 34, Breida got the ball again and this time he turned on the jets. By the end of the play, Breida was in the end zone, but not without the help of his teammate, Garçon, who put on a block for nearly 40 yards. The 66-yard touchdown rush, San Francisco’s longest offensive play of the season, also comes as the longest rush of Breida’s career. 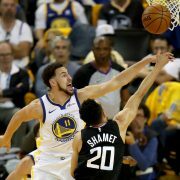 It also came as one of the most valuable plays of the game in terms of the ultimate result of the game due to the fact that the final score was only decided by three points. When it was all said and done, 138 yards marked Breida’s most productive rushing day as a pro as the 23-year-old back averaged 12.5 yards per carry..
Breida’s impressive afternoon will likely have further implications as the season progresses. After losing featured back Jerick McKinnon just days before the regular season began, the 49ers have been forced to split carries between Breida and Morris. If Breida’s showing has any bearing on how the 49ers approach their running scheme in future games, it’s likely that he will be seeing more touches as the year continues. 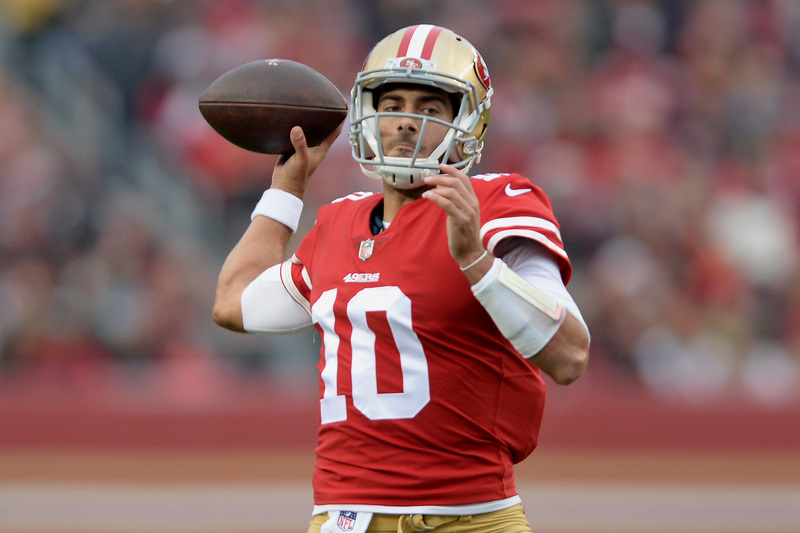 Last week, against the Minnesota Vikings, the 49ers struggled mightily in the red zone. On Sunday, however, San Francisco was able to find the end zone during their trips inside 20 yards. In total, the 49ers offense saw the red zone five times and were able to score touchdowns on two of those appearances. … Shanahan said that although the execution was not perfect, it is a step in the right direction. 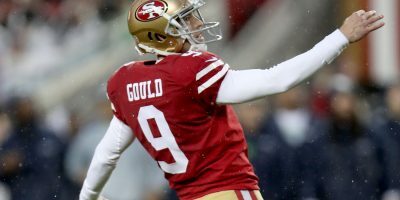 The 49ers also hit three field goals on the other three appearances deep inside Lions territory to score points on all five trips. … Garoppolo got sacked a total of six times for 50 yards Sunday. Much of the reason why he took such a beating in the pocket stemmed from the fact that the 26-year-old signal caller was unable to get rid of the ball when receivers were well-covered down field. 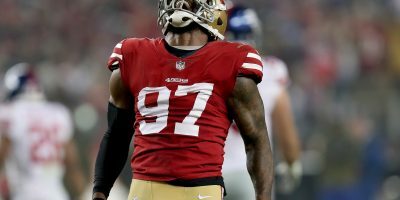 … Referred to as “coverage sacks,” Detroit was able to keep 49ers wide outs at bay long enough let their pass rush get to Garoppolo half-a-dozen times. … Detroit simply refused to throw towards starting corner back Richard Sherman on Sunday. Instead, they decided to attack corner back Ahkello Witherspoon, who is in the early stages of his sophomore season with San Francisco. … Sherman was not shocked at the Lion’s choice to avoid his side of the field noting that his reputation as the league’s best corner hasn’t faded.